In the Ayurveda tradition, correct food is considered to be healing or having medicinal properties. Moreover, the discipline of wrucksha Ayurveda — or Ayurveda related to cultivation — recognises the healthy means of cultivation free of harmful substances. The age-old tradition also champions the consumption of food varieties which are distinct to each region by those who inhabit those regions. The recent pilot project initiated by the Ayurveda Department to introduce chemical fertilizer-free food to the diet of in-house patients, with special emphasis on those affected with chronic kidney disease (CKD) is a reflection of all these values imbedded in the timeless tradition of Ayurveda. The project is trialled in the Ampara Ayurvedic Hospital and in the Ayurvedic Research Hospital for Prevention of Kidney Diseases in Medawachchiya. CKD is rampant in both Ampara and Medawachchiya. The pilot project, which has introduced a diet comprising several varieties of traditional rice, porridge (kenda), vegetables and yams signature to the two regions, is to be gradually replicated in other Ayurveda hospitals, says Ayurveda Commissioner Chatura Kumaratunga. “Most of the patients at our hospitals in CKD prone areas are those who have been seeking western medicine for years and a significant number is at dialysis stage. Tragically, a majority of these patients are farmers whose contribution to the national economy cannot be undermined. With ayurvedic treatment which detoxifies their systems, these patients gain a new lease of life,” Mr. Kumaratunga explains. The chemical fertilizer-free meal programme garners multiple social and economic benefits apart from health benefits to patients. As Mr. Kumaratunga informs, the recovered patients, who are largely farmers, are encouraged to cultivate fertilizer-free traditional rice varieties, with the ayurveda tradition’s best agricultural know-how provided by Ayurveda Department officers. The Provincial Council Secretariats collaborate in the exercise. “When a patient is admitted to one of the hospitals in which the project is trialled, we alert the relevant provincial council secretariat of the patient and upon discharge. 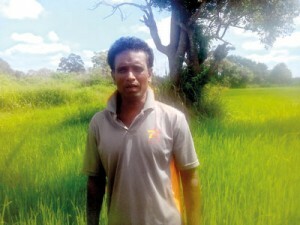 If the patient is a farmer, he is assisted in fertilizer-free cultivation of traditional rice varieties such as heenati, pachcha perumal, suwandel and kaha mala,” says Mr. Kumaratunga, who goes on to note that a special organic concoction prepared with herbs has been introduced by the Ayurveda Department for such cultivation. This preparation which is made out of all natural herbs serves as a ‘nutrient’ for the soil. The pilot project in Vavuniya and Medawachchiya has introduced a special porridge made out of several varieties of fertilizer-free traditional rice for patients with CKD, as it helps in the process of detoxification, Dr. Perera explains. The patients are also served rice with toxic-free vegetables and yams staple to the region. The initiative also seeks to address the rising issue of fatty liver, which is not uncommon even in schoolchildren today. 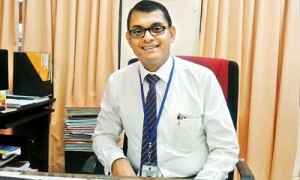 “When we scanned our staff at the Ampara Ayurvedic Hospital, nearly 70 percent of them were diagnosed with fatty liver, largely attributed to dietary patterns,” Dr. Perera notes, adding that fatty liver has joined the ranks of smoking, alcohol and sedentary lifestyle which have been traditionally identified as triggers of NCDs. Food digestion, as the physician explains, essentially starts with ‘grinding’ and ‘pounding’ in the kitchen. Traditional methods involving grinding stone, mortar and pestle, as Dr. Perera explains, could break the ‘cell walls’ of grains and other plant-based food, enabling the micro-organism in them to come out. The modern methods such as ‘blendering’ do not allow such breakage, preventing the absorption of plant-sourced nutrients to human body. Our traditional food patterns, as the physician further points out, also retained gut micro biota essential for proper digestion. The fast-paced lifestyle with convenient food preparation methods has become a host for diverse diseases, she notes. The project also aspires to promote toxic-free crops making them more affordable to people. “Toxic free food is more expensive as it is a labour-intense exercise to cultivate them and if more people are to consume them, we need to assist farmers in terms of cultivation know-how and other amenities,” says Dr. Perera. 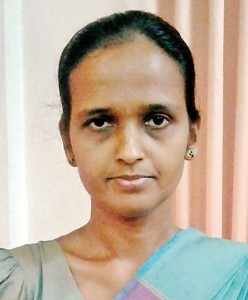 Identifying organisations which engage in the cultivation of toxic-free food rice varieties, promoting such rice verities and other crops among the masses, controlling of NCDs through healthy dietary patterns and introducing of a new circular to all Ayurveda hospitals promoting healthy meals are among the other objectives of this ambitious initiative.